Click on the version of Déjà Vu that you are using to learn how to export a Termbase to Excel format. 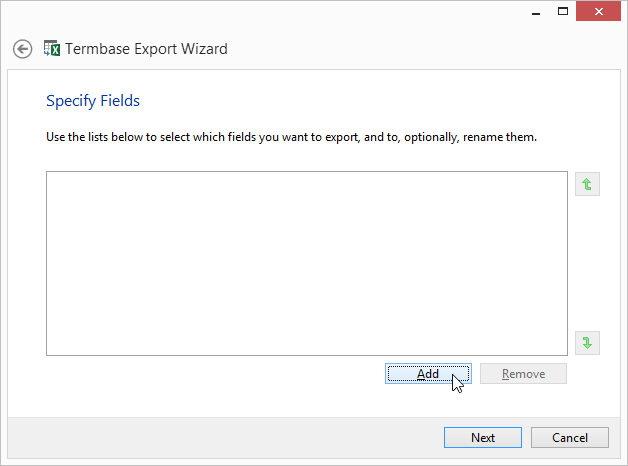 Open the Termbase you wish to export to Excel format. Access the following menu option File>Export>File or Database. When prompted by the wizard, select Excel 97/2000/XP as the data format. 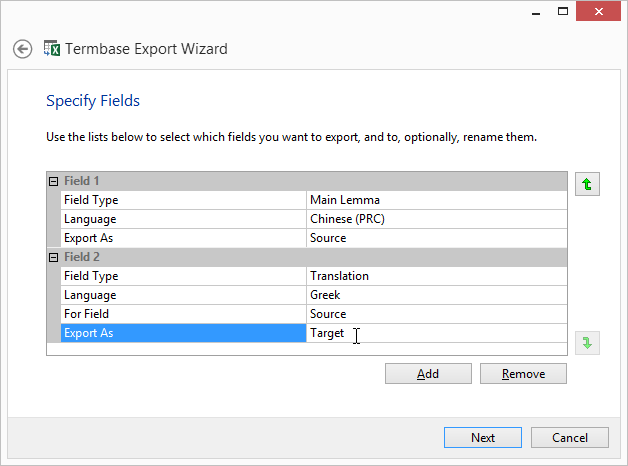 Select a name and a location for the new Excel spreadsheet that the Termbase will be exported to. 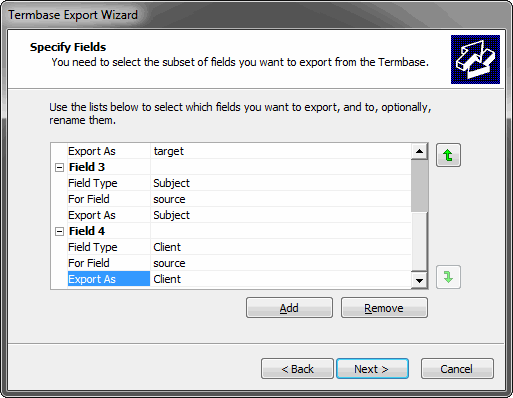 The wizard prompts you to specify the fields you are planning to export. 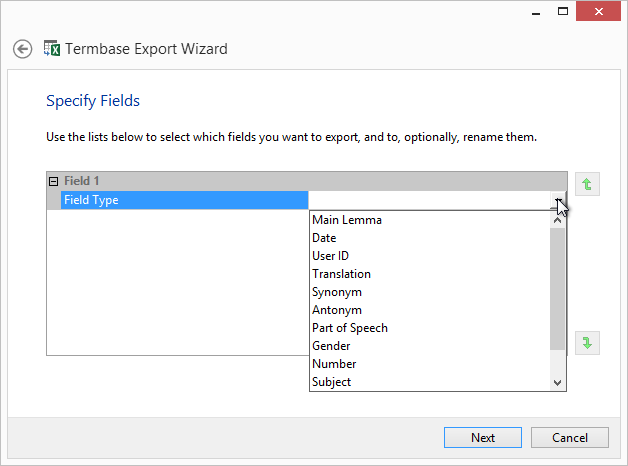 Specify for each exportable field the Field Type, Language, the column header in the Excel file (Export As), and the relation to other selected fields. 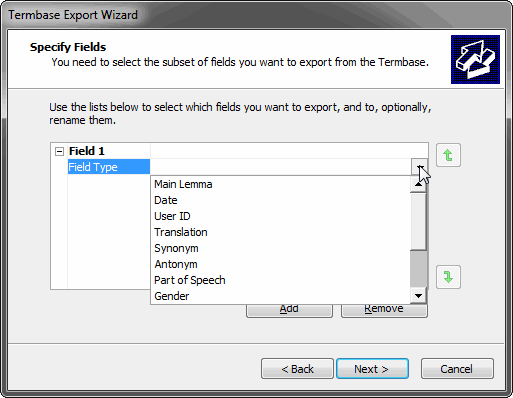 Continue until you have selected and specified all necessary fields. You can move the fields with the up and the down arrows to the right of the selection field. Give the worksheet within the Excel spreadsheet the desired name or leave the default name. The wizard displays the current settings. Click Close and you are returned to your Termbase view. 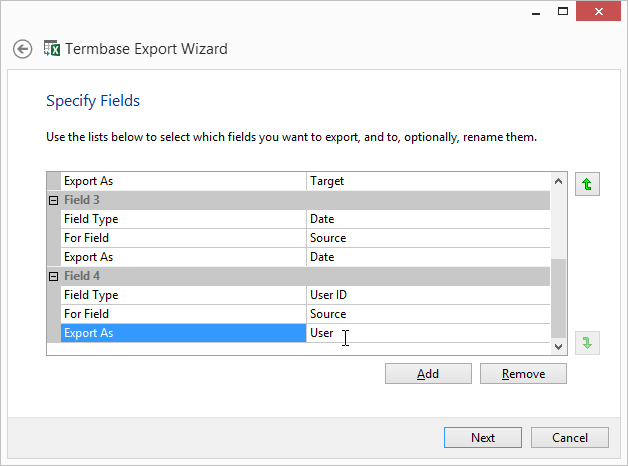 Access the External Data section of the ribbon and then click on Excel in the Export group.